This course is aimed at anybody who is interested in teaching snowboarding in an alpine environment. On successful completion of the course you will gain the BASI (British Association of Snowsport Instructors) Snowboard Level 2 ski instructor qualification. This course is suitable for anyone! Whether you're taking a career break, are in between jobs or are looking for a break before starting or after finishing university. Our next course commences on Date - 01/12/19. Teach For The Interski Snowsport School, the largest british snowsport school in the alps! Interski is the only European gap provider who can guarantee up to four weeks paid teaching on successful completion of the course. In fact, other gap year providers are in constant contact with the Interski Snowsport School asking for us to take their successful candidates, because they can't provide. Interski offers the most inclusive gap course on the market - once you've paid, that's it... everything's included (except spending money!). Accommodation, season lift pass, training, all course fees, 3 meals a day, up to 4 weeks work on successful completion, insurance - too many to list here, so please see page 7 of the brochure for the full list of inclusions. We've been running gap courses for over 14 winters and each season, our package gets better and better. 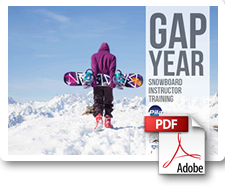 We have one of the leading pass rates for ski gap courses with last year seeing a 100% success from our 20 students. Interski is financially sound, ABTA bonded and an ATOL holder. How many other gap course providers can offer you this level of financial protection? And did we mention... we operate the largest British snowsport school in the world. We employ over 800 instructors each season and so are able to offer you the best shadowing environment throughout your course. Please complete the form below and we will contact you. 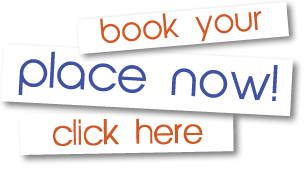 Alternatively, please feel free to contact us on 01623 456333. Your details have been sent to one of our team who will contact you with more information about your chosen course as soon as possible. In the meantime, please feel free to contact us on either 01623 456333 or by email to email@interski.co.uk.